First, let’s look at the design of the subnet mask. The figure shows a need for 6 total subnets, and all subnets will come from class B network 172.24.0.0. To support 6 subnets, you need at least 3 subnet bits, because you need 2^S to be at least as big as the number of required subnets. So the minimum workable S (number of subnet bits), per the various requirements, is S=3. The requirements also tell you to use a single mask throughout each classful network. In other words, avoid Variable Length Subnet Masks (VLSM). A lot of people miss this concept, so it’s worth a few words. VLSM means: more than 1 mask is used inside one classful network. That is, more than 1 mask is used inside a single class A, B, or C network. In this case, the requirements tell us to use a single mask throughout each classful network, so VLSM is not used. From a design perspective, that means we need to pick one subnet mask to use in all subnets. Next, look at the requirements for the number of subnets. 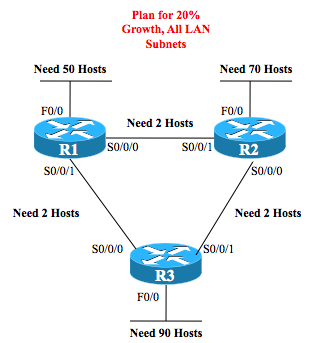 Figure 1 repeats the requirements for the number of hosts per each subnet. Finally, the requirements also told us to use the fewest number of host bits. So, the mask has exactly 7 host bits. How to write that mask? In prefix notation, it’s /25, calculated from 32 (the number of bits in the mask) minus H (the number of host bits). To find the dotted decimal notation (DDN) mask, just covert /25 to DDN format, or 255.255.255.128. Once you know the mask, the next step in the design process is to find all the subnets that exist. You can then compare the list to the requirements, which tell us to use the numerically low subnet IDs for the WAN subnets, and the numerically high subnets for the LAN links. I’ll leave the how as an exercise, but here’s the list, with low and high ends. Note that the pattern is to use a multiple of 128 in the 4th octet, and add by 1 in the 3rd octet. 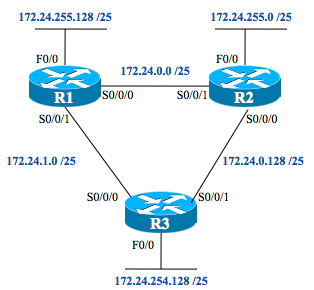 The exercise requirements state that the WAN subnets should use the numerically lowest subnet IDs from network 172.24.0.0, starting with the R1-R2 link, then the R2-R3 link, and then the R1-R3 link. Without any reason to avoid it, the zero subnet (172.24.0.0) should be used. So, just pick the first three subnets from the list of subnet IDs. Similarly, the requirements state that the three numerically highest subnets should be the R1 LAN, R2 LAN, and R3 LAN, in that order. Just pick those from the list from the list. The last big task is to create a configuration for each router. Per the requirements, each router should use the last IP address in each subnet. When two routers exist (the WAN subnets), the higher router number gets the higher router IP address. Examples 1, 2, and 3 show the resulting configuration on routers R1, R2, and R3. Cisco Cert Newbie Chronicles: What are the Questions? wow that subnet design example has my head spinning, i will have to take some time out to analyze that, that is a trip, and if there are questions like that on the ICND1, i might be in trouble…that design seems a little off the wall. Well, they’re not going to ask you anything that long on a single question. But you’ll need to know how to do what’s here so you can answer more specific questions. If it seems a little off the wall right now, I’d say make sure you’re good with the fundamentals before looking at this problem. IE, you should be able to choose/design the right mask based on a set of requirements; find all subnets of a network given one mask; find all addresses in a subnet given the subnet ID and mask; find the first/last IP address in a subnet, given the subnet ID and mask. This exercise just puts all those concepts together into a big picture, but if you’re still learning the pieces, the big picture can be a little scary. and the fourth octet alternates between 0 and 128, is that right? think outside the box man! wow! Hi! Very good your example. Though I have a problem..I have a same net to design given IPs 146.124.0.0/16 and 146.124.10.0/24. My given requirements are : at least 60 more subnets and maximum 1000 hosts per subnet. I gave WAN1 : 146.124.10.0/30, WAN2 : 146.124.10.4/30 and WAN3 : 146.124.10.8/30 and sub1 : 146.124.0.0/22, sub2: 146.124.4.0 and sub3 : 146.124.8.0. When I tried to configure RIP protocol, it didn’t work (i use routerSim). Can you help me? What am I doing wrong? It could be that you forgot to enable RIP version 2. IOS RIP sends RIP version 1 updates by default, so if the simulator you’re using does the same, it won’t support VLSM (because RIP-1 doesn’t). That may be all you need to do. Otherwise, I’d have to point you to the support channel for the product you’re using. Hope that helps..
RIPv1 does not support VLSM. IF you want to use RIPv1 you would have to change your address assignment schemes.Another word you would have to use the same mask for all subnets. It would be easier if you change it to RIPv2. I am confused. The subnet is listed as /25 to or 255.255.255.128. First, on terms: you wrote “the subnet is listed as /25 or 255.255.255.128”. That’s actually the “subnet mask”, aka “mask”. The term “subnet” is typically short for “subnet number”, which is a different number. Sorry, not trying to be difficult, just making sure we’re on the same page. When discovering the subnet numbers inside a network, in which all subnets use the same subnet mask (/25 in this case), the subnet part is the only part that differs when comparing each subnet number. So, the subnets of class B network 172.24.0.0 will always have the same first two octets (because it is a class B network), and differ in the next 9 bits (the subnet bits). The last 7 bits of every subnet number will be binary 0. Thinking in decimal, that means you could by the magic number in the 4th octet (128), and by 1’s in the other other that comprises the subnet part of the subnet numbers (the entire 3rd octet). That either clicked, or it didn’t, which is generally true about most math, right? If it didn’t, feel free to post again. Thank you, Wendell for explaining. I had to read it a few times to get what you were saying. I am/was using subnet and subnet mask as the same thing. one more question if I may? When the class B address is subnetted, these subnets are no longer considered classsful, correct? Well, “classless” and “classful” is a big can of worms. There is no terminology police that require these words be used in a certain way, different people use them in different ways, and it’s frankly a mess. I’ve been trying to informally push for one view of them, just by being very explicit with them in my books. However, many people start CCENT/CCNA study with some prior opinions about those terms, and it’s just hard to make sense of them. For real life, I’d say to not use them unless you have to. And you don’t have to use them for addressing and sub netting. You do for routing and for routing protocols. As for your question “the subnets are not longer considered classful”… that’s a turn of phrase I would never use. (just an example of how to use these maddenly squishy terms.) The way I use the words, a subnet is neither classful nor classless. However, you can think about IP addressing, and IP sub netting, using classless or classful rules. It’s an issue of how you think. All that to say: if you think about an IP address, or subnet ID, and see the network/subnet/host parts, you are thinking about class rules, and you are thinking class fully. If you think about that same address/subnet and see a prefix/host (or same structure, but call the left side “subnet”), basically ignoring the network part, you are thinking classlessly. 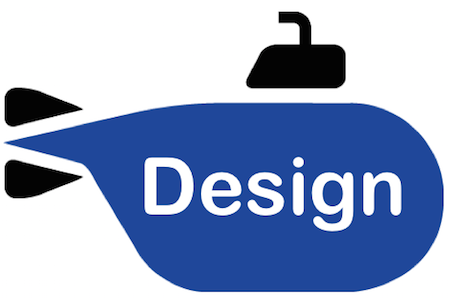 But the address or subnet ID doesn’t change – only how you’re thinking about it changes. Hope this helps! Do check out the section about those words classless/classful in the book (can’t check it from where I am right now). Thanks for this, this is a great help! I can finally wrap my head around this! Ahh, i solved for mask/25 in the beginning of my answer. but then i went along for the rest of the question solved for /26 (Careless mistake), luckily those came out as they should be….for /26 but not 25. well it was good practice. Thanks for the question! More great practice and I got it all right 1st time. Only thing which I need to brush up on is working out %s without using a calculator.